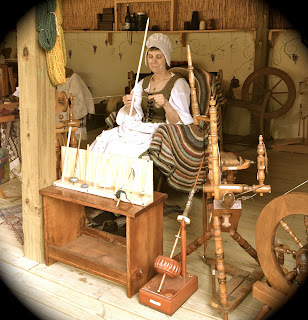 Lizzy and I are getting ready for Rendezvous and I thought we could catch a few threads that have been left dangling today. 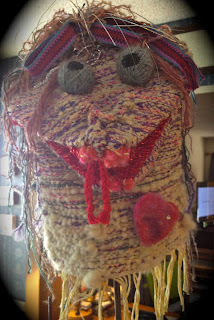 Lizzy is my studio buddy, made by my good friend Jeannine Glaves. 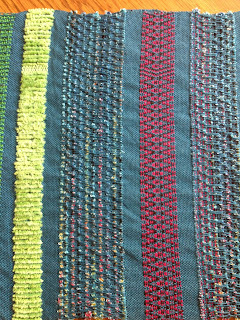 First, here is the finished sampler from the Extreme Warp Makeover weaving workshop with Robyn Spady that I wrote about earlier . 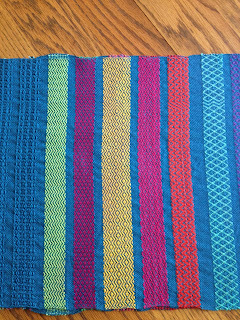 It was done on a Rosepath Twill threading and a four shaft loom and mine has 34 different samples but I did repeat two of them twice. 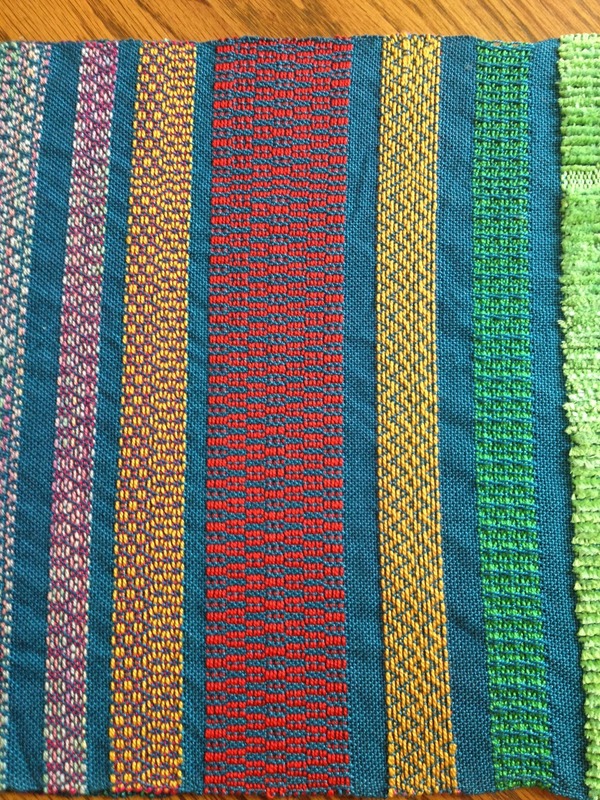 Quite an impressive array! 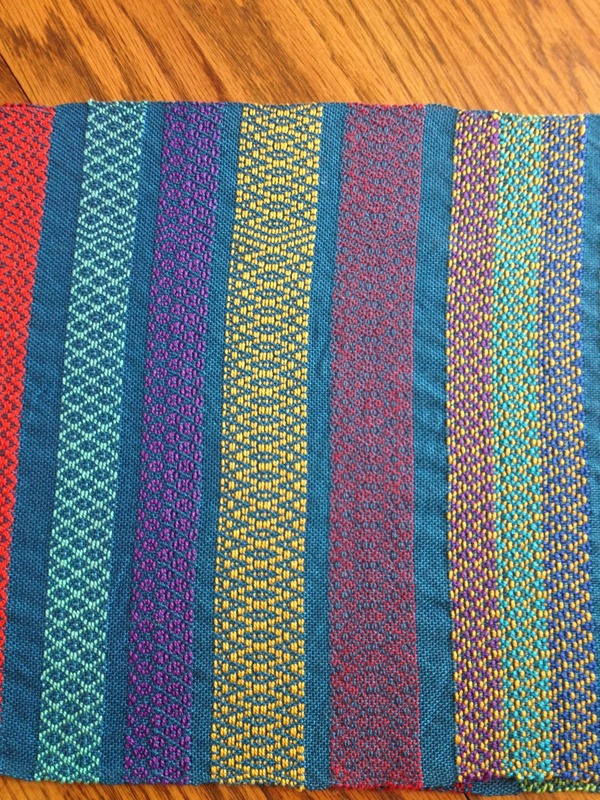 I have also included some details. 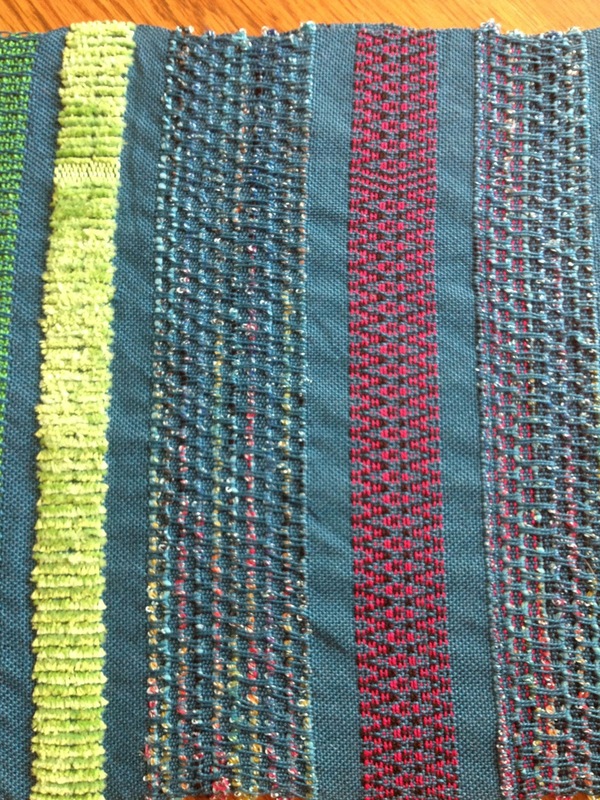 This shows the corduroy , deflected weft and echo weave samples. 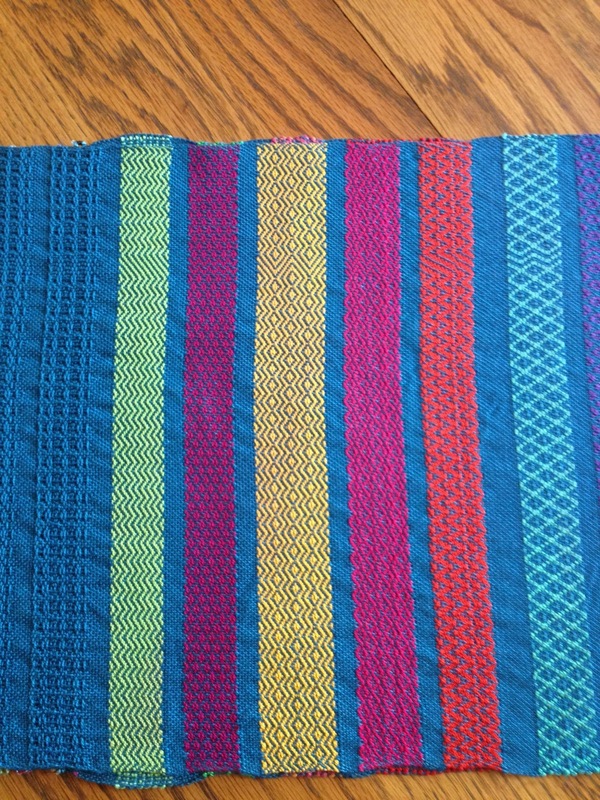 Here are some pattern variations with heavier threads. 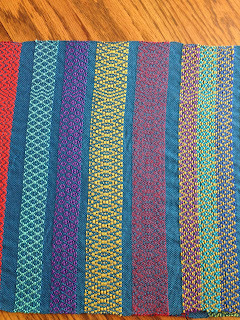 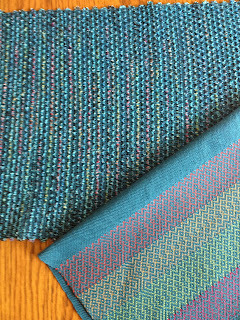 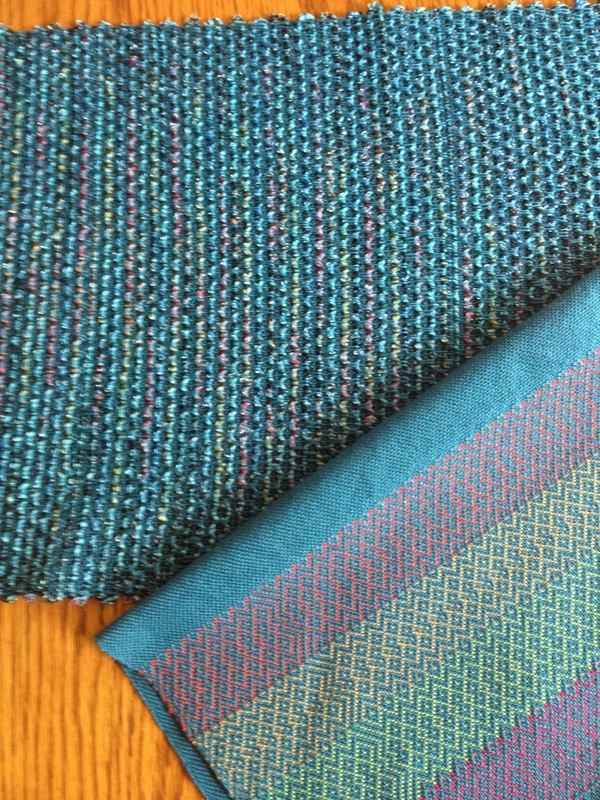 From the end of the sampler warp, a bonus two pieces of fabric that I am using for a multi technique bag along with some tapestry and bead trim that is still on the Little Guy Mirrix loom. 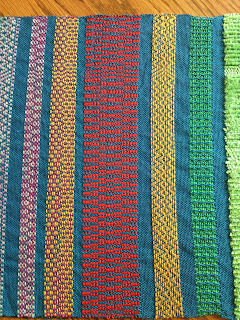 Deflected Weft with a novelty ribbon yarn and some swivel variations. 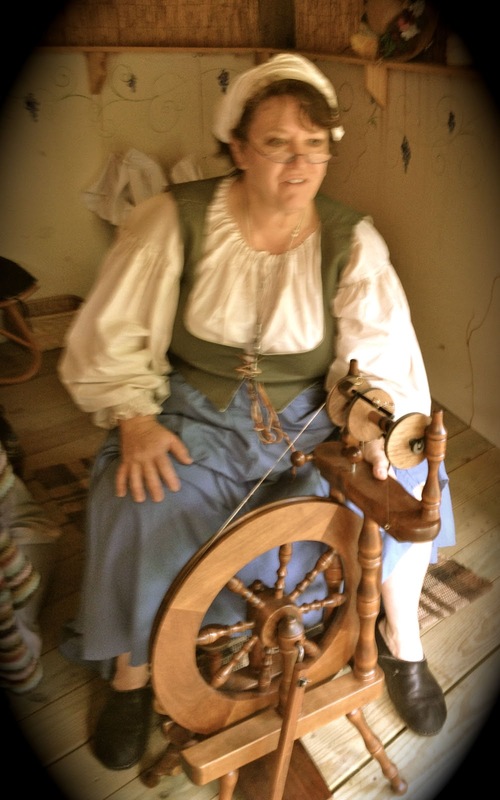 Finally a picture of me demonstrating for the Renaissance Festival at the Castle in Muskogee last weekend. 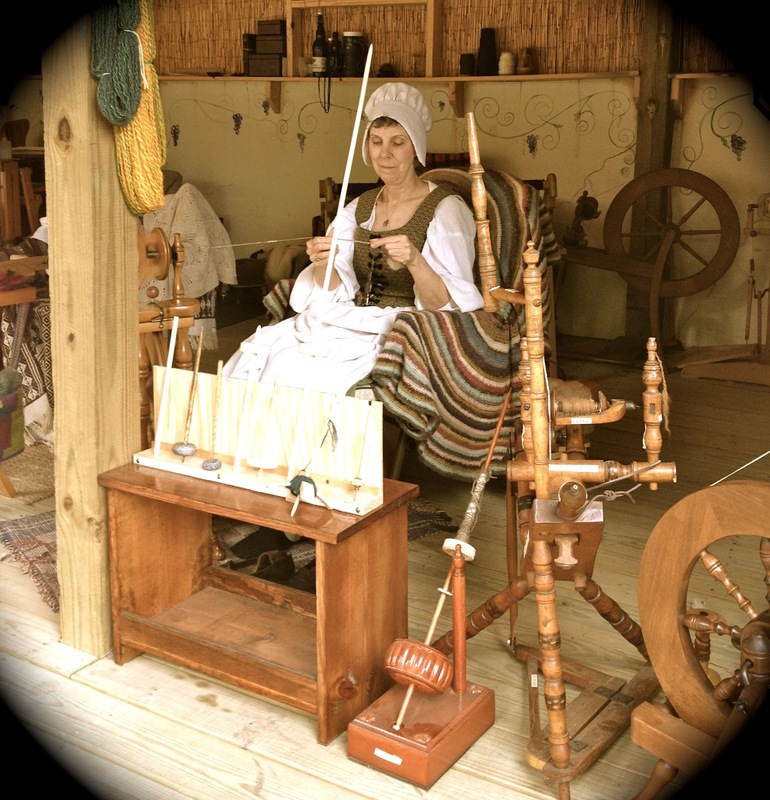 The weather was perfect and it is fun to talk about fiber arts with the public, especially the children. 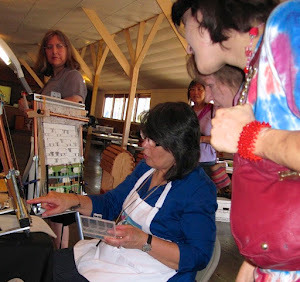 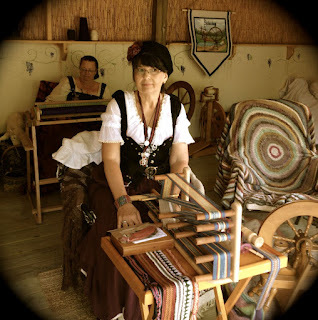 I had my inkle loom and my hand spindle with me. A couple of my friends were there demonstrating spinning and we had a good time going back in time.